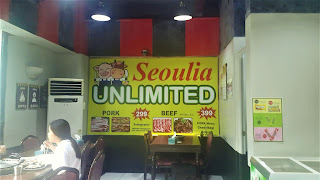 Seoulia is a Korean restaurant that's offering unlimited samgyupsal and ala carte of other popular Korean dishes. 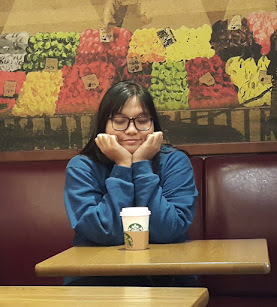 It is situated in España Boulevard near UST and students and working foodies flock to this resto to try their offerings but I've got a few bad points that you should know! Ambiance When we entered the restaurant, it's around 2PM so there aren't many people inside. The staffs were on the cashier and they were just looking at us. We went to the cashier directly and they asked us what our order is and just pointed out the table that we can occupy. The place looks like an old Korean restaurant I tried in Korea so I'm quite looking forward to the same service and food. 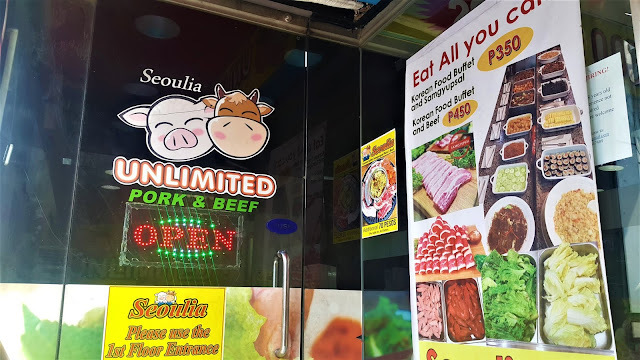 We availed the unlimited pork and according to their menu, it comes with two meat choices and four side dishes. 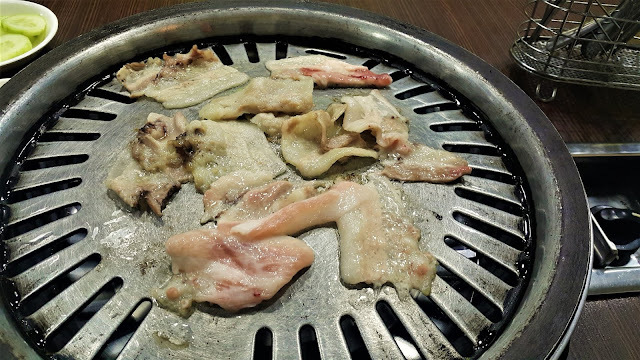 The meat was okay - not so fresh obviously but not so bad since it's frozen. 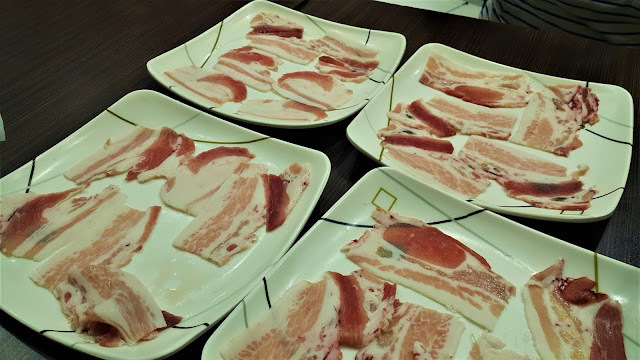 It's weird that they served four plates with just a few cuts instead of collating it and putting it in one or two plates. I personally think it's a waste of materials. 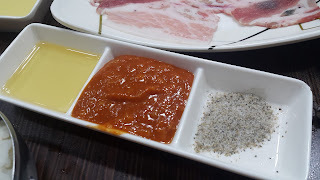 I am obviously expecting Kimchi but was surprised that japche was also served as their side dish. The japche is okay, it's actually a little cold when it was served. It's obvious that it was prepared for a long time already and has been exposed to room temperature. Their kimchi is either recycled or has been in or out of the refrigerator for quite a few times. There's an after taste. 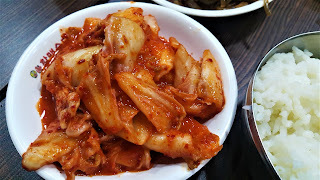 The normal kimchi after taste when the kimchi gets exposed to changing temperature. As for their rice, the texture seems like the low-quality type of rice has been added on the regular rice. 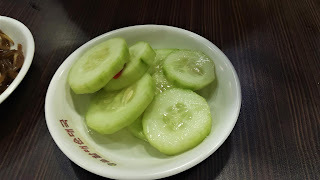 I was surprised that they serve cucumber on a vinegar sauce. 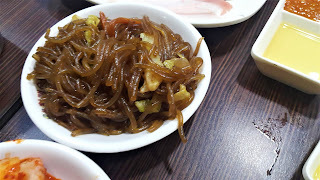 Since when did a Korean restaurant serve such kind of side dish? And by the way, what's the fourth side dish? The sauce or the lettuce? To my surprise, I saw another serving of toasted peanuts on the other table. That only means they intended not to give us the fourth one. 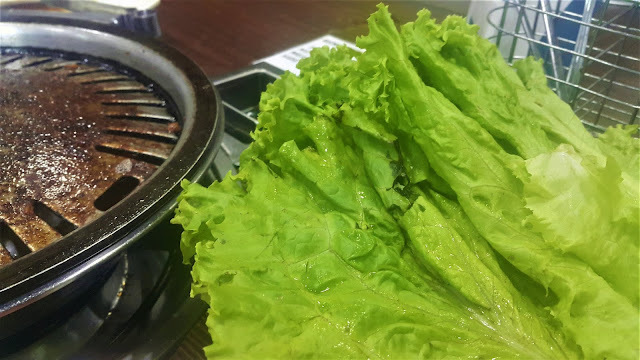 The lettuce is too dry and they just obviously watered it or washed a little before serving but the middle parts were already melting. While my friend and I cook, the stove went off so we were told to transfer on to another table. 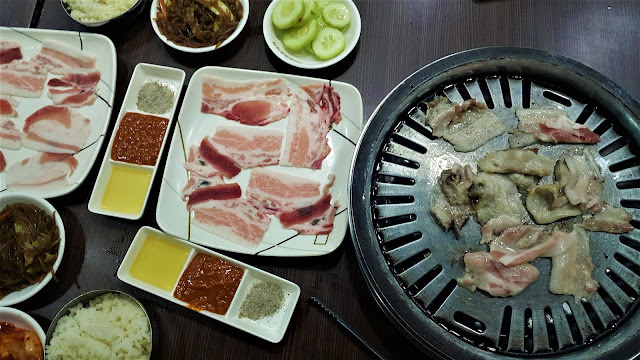 Yes, their staff transferred the stove but left everything else, including all the side dishes, our plates on to our hands. 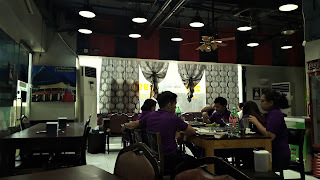 We transferred everything for about a few times while the restaurant staffs were looking on us and how dare them simply sing while just staring at us? 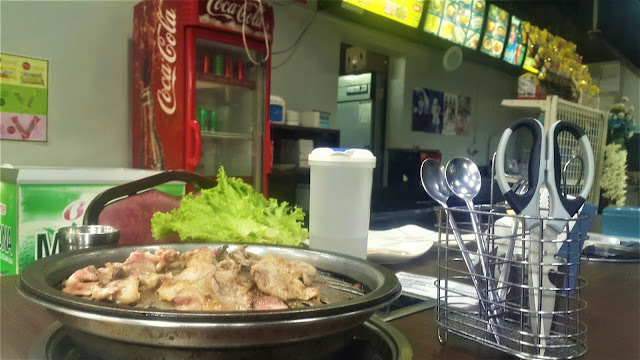 Lastly, when we ordered for marinated pork, it was just the same pork added with some sauce before serving it on us. How did I know? It has no taste and the color is the same as the previous one served. My friend and I also bought ice cream and they didn't even bother to check what we get from the freezer until they asked when we were about to pay at the cashier. 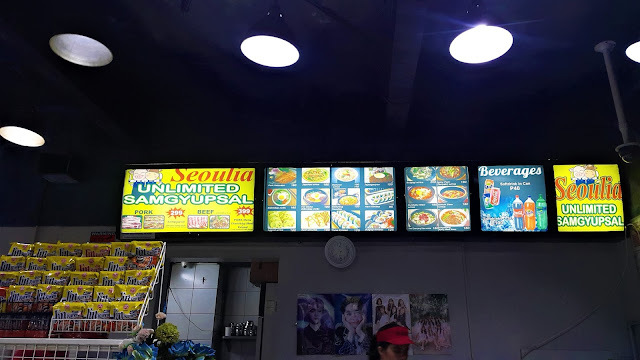 Their tarp says they have an eat all you can Korean buffet but the only thing I saw are packs of noodles for an additional of 70 pesos per pack.